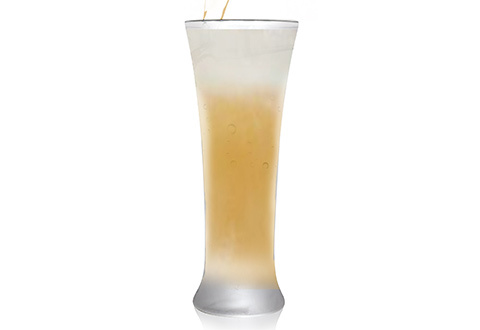 What if your last sip of beer could be colder than the first sip? Impossible? Not with the Insanely Cold Beer Glasses! Imported from the Netherlands, these amazing 13-oz. 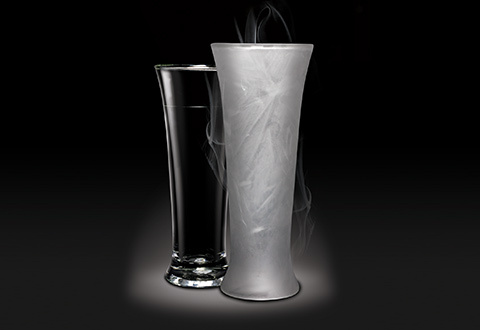 pilsner glasses feature non-toxic cooling liquid sandwiched between two layers of high-quality borosilicate glass. 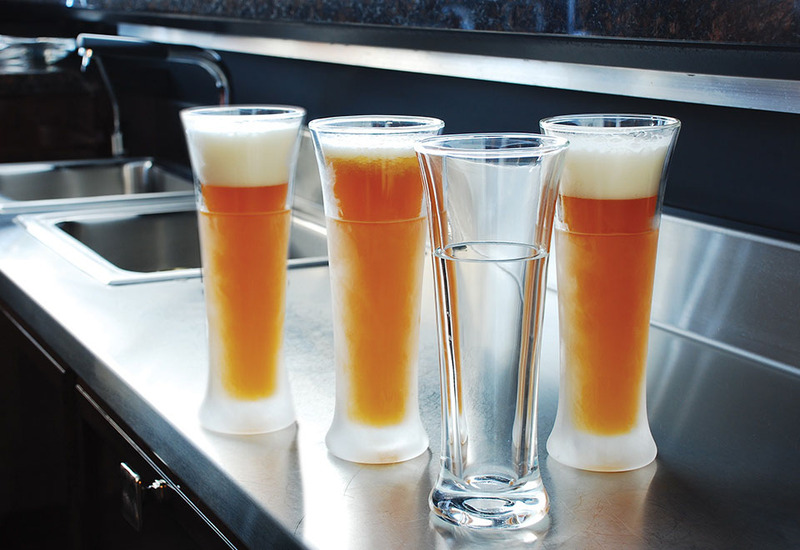 Simply place a glass in the freezer for one hour before use, and it will keep your beer colder than a refrigerator for a minimum of 30 minutes. 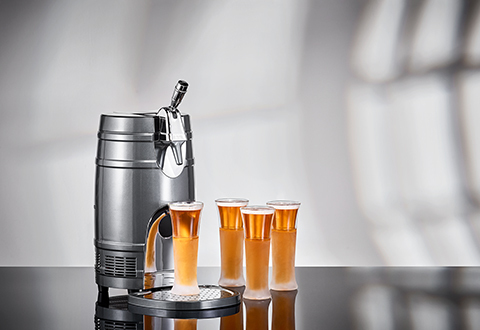 Or, pour in a warm beer and it will be chilled to perfection in 2 to 3 minutes! Dishwasher safe. Set includes 4 glasses. It’s true... Cold beer is good, but insanely cold beer is even better! 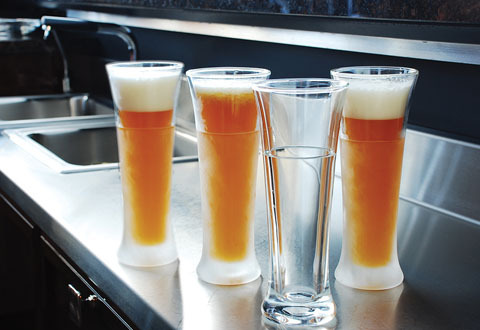 Keep these high-tech glasses in the freezer, and they’ll keep your beer colder than refrigerator temperature... for 30 minutes or more!